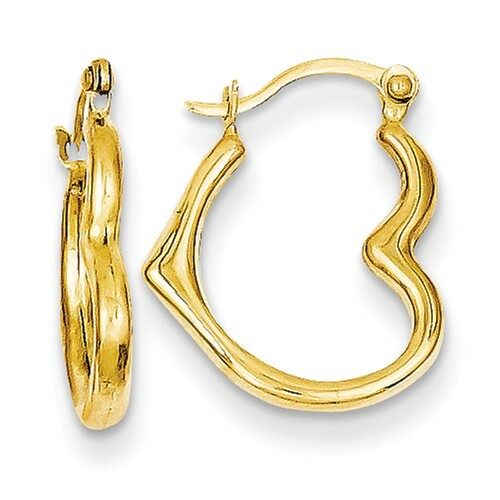 These small sideways heart hoop earrings are made of polished 14k yellow gold. Earring size: 5/8in x 1/2in. Earring thickness: 2mm. Wire clutch. Weight: 0.4 grams. Import.